A FAMILY WHOSE home was wrongly raided by gardaí is suing the State. Officers had repeatedly called to the home of Marek Topolnicki at Ashmount, Clonsilla in Dublin 15 and had kept asking about a person who didn’t live there. In February of this year, gardaí offered an unconditional apology in the High Court after the family claimed harassment and intimidation by An Garda Síochána. The Topolnickis had taken the case to court seeking various reliefs including orders restraining garda entering or attending at their home unless there was a valid warrant issued by the courts. Gardaí came to the house on eight different occasions over the last three years. On another occasion in March 2016, up to 12 gardaí arrived at the house and had banged on doors and windows. Marek Topolnicki claimed, when he opened the door, he was pushed inside and six to eight gardai forcibly entered and roamed around the house. During the initial case, the High Court heard that this had upset and traumatised the family, who said they were given no information by gardaí. He said they did not have a warrant and before leaving the house a member of the Garda party gave him a document to sign which Marek Topolnicki was told was a confirmation that no damage had occurred during the search. New proceedings were initiated by the family in the High Court on Tuesday. There are four suits in total, naming four different family members. 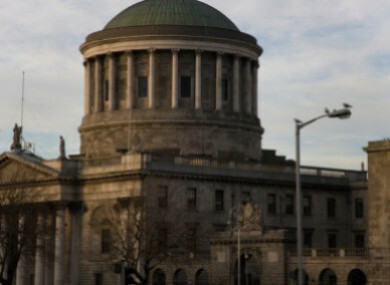 The defendants in the cases are the State, the Commissioner of An Garda Síochána, the Minister for Justice and Equality and the Attorney General. TheJournal.ie contacted the legal team for the Topolnicki family and was told that they would not be commenting on this fresh case. Email “Family suing gardaí after officers wrongly raided their home”. Feedback on “Family suing gardaí after officers wrongly raided their home”.